Arcturian Ascension Tools: Ashtar: "You Are Empowering Us With Your Love!" "Greetings, Beloved Family! Welcome to the Bridge of my ship, The New Jerusalem! There is so much going on that it is indeed almost a mind-boggling series of events and situations everywhere in the Lifestyle of Planet Earth. And because of the empowerment that you - Beloved Ones in the human bodies, volunteers from the stars - have provided us with in terms of your loving support, and, yes, your invitations, we are fully in charge!!! And we shall remain so, sharing these grand events and openings of opportunities, exercising them to their fullest extent, and sharing all of this, of course, with you! 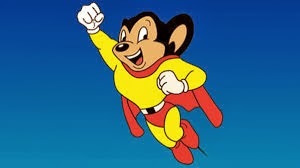 "You are the ones who empower that which we are doing!!! It is so important that I will only say that, without you and your support, we would not be able to accomplish all that we have accomplished thus far, and have yet to do. And the 'yet to do' is diminishing. Dominoes are falling in every aspect of the Lifestyle here on Planet Earth. And as I am fond of saying, 'I’m here, I’m there, I’m everywhere,' and what that means is that there is no let-up in the activities that I and the rest of the Ashtar Command are engaging in! There is no rest and there certainly is no falling back. It is not necessary to fall back at all! "So we are moving ahead. You could say we are 'marching' ahead during this pivotal month. There are energies in this month which are going to be, if you can imagine, even greater, even bigger, even more powerful than that which have already occurred! These are the energies coming directly to Planet Earth through the Great Central Sun and through your own Sun, Sol -energies of Love, energies of support for Freedom, energies of Courage. Yes! That is an important thing, because how do you stand up for Freedom, no matter what your position might be? In other words, whether you are signing a petition or marching in a street or telling your friends, family and neighbors about the wondrous things going on, all of these take Courage, do they not? 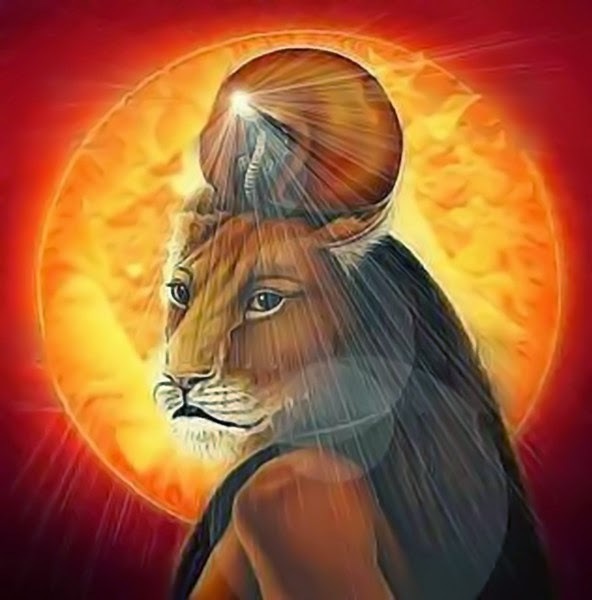 "And so these energies coming in are to support your COURAGE, to support your own knowledge of your own true Divine Origins, to empower you into knowing that you are as powerful as I, Ashtar, or any of those of us whose primary dwelling is in the Lighted Realms - the Higher Dimensions! "And so it is that we encourage you to stand with us, to know that all is well on Planet Earth, below, on and above, to know that we have already begun landings in quiet and, shall we say, hidden places - not dark places, remote places, yes, but full of Light! And we amplify the Light by our coming. We have been in meetings. We meet regularly with President Obama, with Putin, with Xi of China, and with other leaders and spiritually inclined people, as well as those who are occupying major seats of government. "And, yes, some of us, most particularly Saint Germain, have met with leaders who are still wanting to wear the dark hats, and we will continue to do so! But they are being removed from their positions of power. 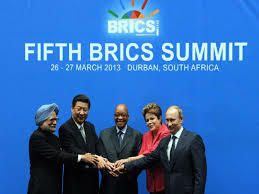 And they are finally understanding that we will not tolerate the beginning of World War III upon the Planet!! !We will not tolerate genocides of such massive numbers as would be perpetrated in a world war or any kind of a major conflict. THE NUCLEAR WEAPONS ARE NON-OPERATIONAL!! So even now, for instance, Mr. Netanyahu might think that he has huge nuclear capabilities. That is not so! If he continues to try to foment war -and please remember he is only doing what he is programmed to do - there are controllers even of him, even though he might be at the top, so to speak, he is doing what he is programmed to do -so he Will NOT be able to start a nuclear war!!! "Our job is to provide the security, shall we say, the dismantling or disabling of the controls of any, any kind of a power to begin any kind of a nuclear incident, and it is to assure you that is not going to happen. It is about Peace. It is about PEACE! IT IS ALL ABOUT PEACE!!! It is about FREEDOM!!! And it is about you, Courageous Ones, who are so loved and so appreciated!!! You are the ground crew. Makes no difference what planet you came from originally. You are the ground crew!!! 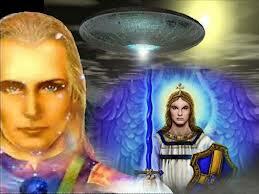 "The Ashtar Command is honored to include members from many planets and star systems. And our ranks have grown exponentially, and are continuing to grow as more and more, more and more civilizations throughout the Universe are hearing about what we’re doing here. 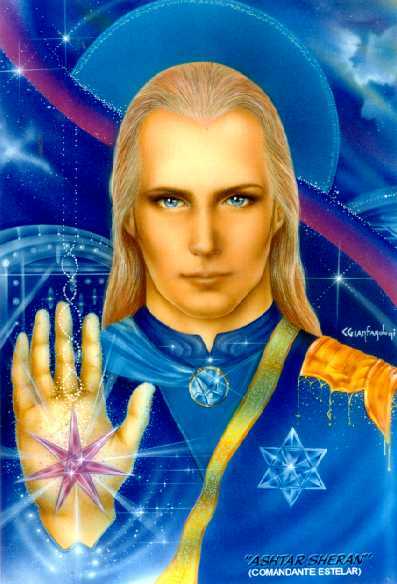 And now that they know the outcome, they’re sending ships galore to be here, not just in observance - although in many cases their orders are to observe -but understand their very presence here is a support, not just for us in the Ashtar Command, but for you, Beloved Family of Ashtar, because We Are ONE! "We are TOGETHER in this! Even though you are still occupying 3D bodies, you have uplifted yourselves to be in joining with us -not just during this Gathering, but in your meditations, your prayers and, yes, your sleep times, when you actually come aboard either The New Jerusalem or one of the other mother ships, or your own ships, your own shuttles - whatever you are inspired to do in the moment! You literally raise yourselves up and out of time at that point in joining with your Higher Dimensional Selves. You have the overview that we have. You have the perspective and you can see for yourselves exactly what’s going on on Planet Earth!!! "Those are the people who do not want to wake up and who have not really done any dark deeds, but they just don’t want to wake up. They want to take some more time in 3D Earth experiences before they ascend. So that will happen at the very beginning of the Golden Age. Indeed, there are many who have already opted for that locational direction, and they have gone. "There are those who have done such dark and heinous deeds that they will need to be removed. They will not be allowed to take their regimes and programs and atrocities and wars, and so on, to the new 3D planet. They are being disabled and dis-empowered. So it is that they will be taken elsewhere. Many of them have already been arrested and they will stand not only before the tribunal on Planet Earth - or they already have - but they will have to move to the higher tribunals because they must answer for what they have done. "But it is not to punish them but rather to bring them to understanding so that they can see for themselves that they have strayed so far from the Light, that they did these unspeakable things because they were programmed to do so. And it is for them to choose whether to give up the programs or not. And we do have an answer to those who will not. And I shall simply say that it involves a final meeting with Mother Sekhmet. And those meetings have taken place in some cases already on Planet Earth and they will take place more on Planet Earth, and beyond. "Rest assured that you have only Light and Love upon your paths!You have Ascension when you choose it. You have the High Fourth and Fifth Dimensions to look forward to. You have the healing of your bodies completely. You have abundance of whatever it is that you desire to require.You have lives of service from your Hearts! In other words, it matters not what you do, you’ll be doing it with Love, empowered by Love, and your services will be received with Love!!! "How can I tell you all of this with such certitude? Because it’s already done! Come on up to The Bridge (of my ship) in your meditations, your prayers, your sleep times, and take a look for yourselves.You can simply connect with your Higher Selves if you don’t feel that you’re inspired to travel through space and time, and you can confirm what I am telling you. "Take a look at the timeline of Planet Earth. That which you call your future, when you observe it from the third dimension, is all happening NOW, in the Higher Perspective! That’s how I can tell you the Truth. That’s how I can tell you that what you’ve been living as your 3D lifestyle is simply a holodeck creation upon the holodeck of Planet Earth, or as Beloved Sananda teaches, it’s all an illusion anyway. Why do I say this? Because you are way more powerful than your third dimensional selves! And isn’t that delightful to contemplate? "And so I leave you only to know that you are the power behind the march into the Golden Age. You, in turn, are powered by Love. That is the energy, and when you express your Love, you are adding even more to the empowerment of your entry into the Golden Age of Planet Earth! And from there, you will have infinite choices and infinite abundance and, yes, infinite perfect health!!! "So rejoice that it’s so close! Stand tall! Allow your Hearts to guide you, and look within your Hearts to find the great treasures of Love, Compassion, Forgiveness and Gratitude and COURAGE to move ahead along your paths! 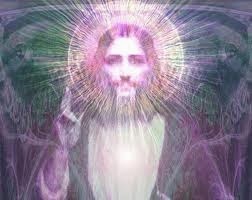 "And so I, Ashtar, on behalf of the Ashtar Command, the Ascended Masters, Angels and Archangels and all who come in Love and Joy to this Gathering, honor you, Mother Gaia and all of the Kingdoms of Planet Earth for coming into the Golden Age of Peace and Abundance for all - and beyond into Ascension for the Planet!!! Thank you for being with us - we love you beyond all expression and We Are One! And so it is! Salut!"